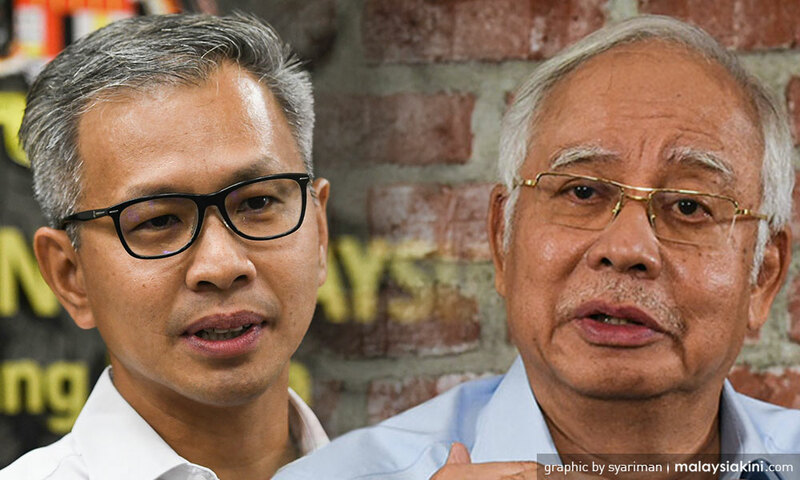 Of late, Najib had made two social media posts regarding what Deputy Finance Minister Amiruddin Hamzah told Parliament regarding a certain VVIP's pink diamond. Amiruddin said that the diamond was brought in and out of the country by a sales agent, which meant that the VVIP's wife did not purchase the jewel. There are two jewellers who have acknowledged showing Rosmah their wares in Malaysia - US's Jacob & Co and Lebanon's Global Royalty Trading SAL. It is not certain which incident Amiruddin was referring to. However, Pua said that the diamond referred by Amiruddin was never part of the 1MDB saga. Instead, what was of public interest was the "22.17-carat Natural Fancy Intense Pink VS2 clarity (GIA#2115637296) Cut-Cornered Square Modified Brilliant Cut diamond", said Pua. This jewel was detailed in the US Department of Justice's court filing "No. CV 17-4438 Verified Complaint For Forfeiture In Rem" in the case "United States of America, V. Certain Rights To And Interests In The Viceroy Hotel Group" on June 15, 2017. Pua said the DOJ filing said the jewel was bought from Lorraine Schwartz Inc in New York and the jeweller had met Jho Low and Rosmah aboard the Topaz yacht in Monaco. "On board the Topaz, Schwartz had shown the jewel to Low, Rosmah and their associates. They discussed the design of the necklace that will attach the 22-carat pink diamond. "On Sept 28, 2013 Schwartz met Low and Rosmah again at the Mandarin Oriental Hotel in New York to show them pictures of the necklace design," said Pua. Two invoices were then allegedly issued. One amounted to US$23 million for the diamond, and the other amounted to US$4.3 million for a "one graduate fancy intense pink and oval white diamond necklace with interchangeable pendant to ring". "According to the DOJ filing, all invoices were paid with funds from the US$681 million or RM2.6 billion which was credited to Najib's private bank accounts," said Pua. The documents then suggested that the jewellery was sent to Rosmah through a friend in Hong Kong on March 7, 2014. In view of this, Pua challenged Najib and Rosmah to deny what was alleged by the DOJ. "Until this day, why hasn't the couple denied this? "Having indulged in money 'stolen' from the public, they are now trying to fool them by misrepresenting the facts," he said. Last October, Najib told Al Jazeera's "101 East" programme that the 22-carat pink diamond was a gift from Sheikh Mansour Zayed, the deputy prime minister of UAE. Najib said Sheikh Mansour was a close associate of Low's. "We didn’t know. As far as we were concerned it was a gift from Sheikh Mansour who would know where it came from and who paid for it. We wouldn't know! We did not know the value of the present," said an irate Najib. How valuable were Mrs MO1's diamonds?